Habitat for Humanity of Mercer County sponsored our first Annual United Way Bake Auction on November 25, 2015. The fund raiser was a complete success! The average price for a baked good was $40. Many thanks go out to all who were there to support this event. 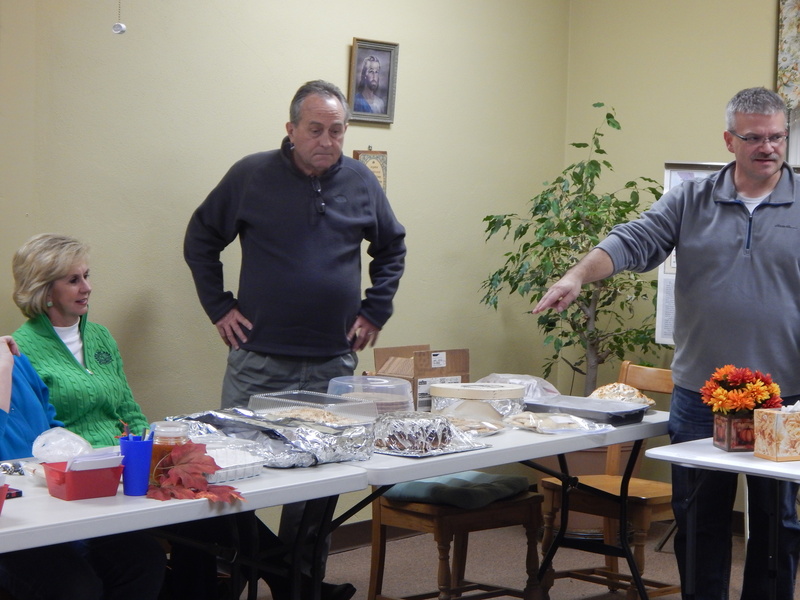 Pictured is HFH President, Perry Dressler, explaining the desserts that were brought. Alongside, Terry Morrison, our Auctioneer for the event decides which dessert to start with. They all looked so yummy!